Blood red, fire yellow… Colour the uprising! The world of The Hunger Games might not be a great place to live, but it’s a pretty amazing place to draw. From flamboyant Capitol fashions to the wild battles of the Arena, this place is a cornucopia of stunning imagery. So fill it with colour! 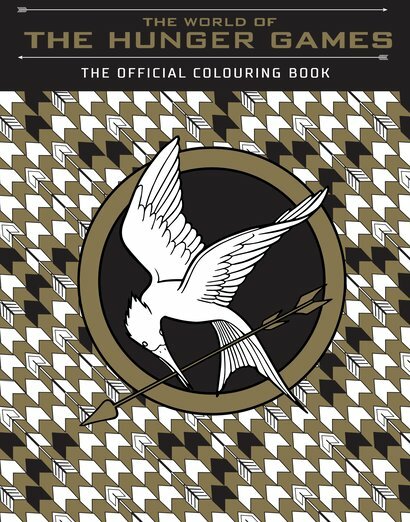 Amid these pages you’ll find heaps of patterns, logos, scenes and designs inspired by all four Hunger Games films. Seriously: it’s nearly 100 pages long! Add your own graphic twist to Effie Trinket’s outfits, Katniss’s armour, Cinna’s stunning creations and (of course) the iconic Mockingjay pin. The ultimate creative fix for Hunger Games fans!